Alcohol Inks on the MirriCard! I’ve been playing with Alcohol Inks lately … and they make a unique background on the MirriCard also!! 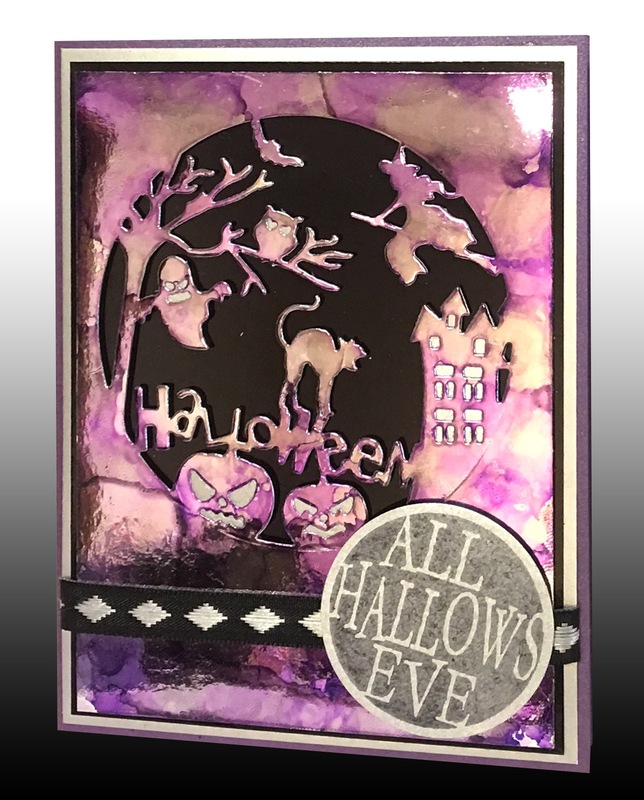 This is Silver Mirricard with Purple Twilight and Slate Alcohol Inks. The Halloween Scene Die is from Impression Obsession. Other Papers Used: Black MirriCard (behind the scene), Silver Glossy Layer, Purple Rain Cocktail Metallic A2 Scored Card and Silver Stardream for the word circle. ← Alcohol Ink and MirriSparkle! !